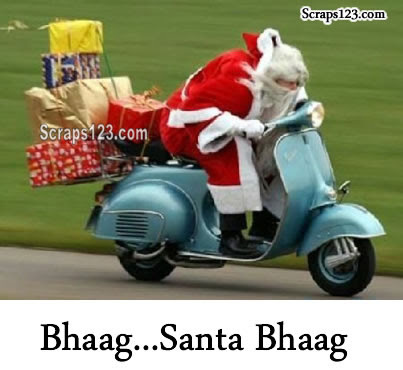 Bhaag Santa...Bhaag...time is running out. 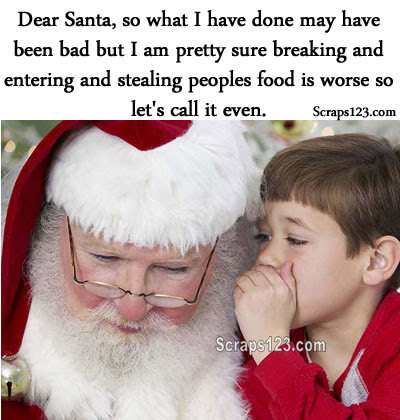 Dear Santa, so what I have done may have been bad but I am pretty sure breaking and entering and stealing peoples food is worse so let's call it even. 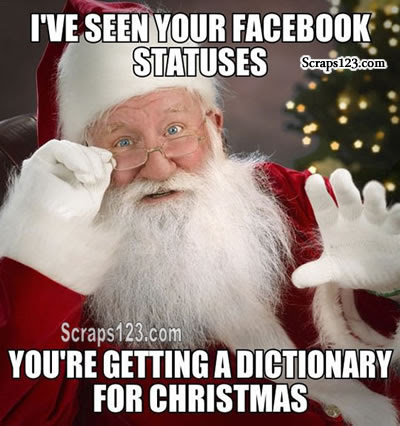 I have seen your Facebook statuses...you are getting dictionary for Christmas. 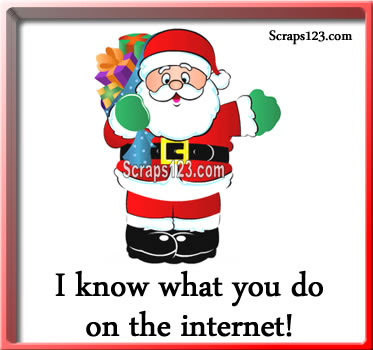 I know what do on the internet.